The scenery, setting, and people make it very popular for baby boomers looking for the best Washington State retirement communities in the Evergreen State. Olympia is the capital and Spokane is the largest city in the eastern part of the state. Washington's cost of living can vary a great deal - Seattle, its largest city, tends to be much more expensive than other parts of the state. The Cascade mountains and an extensive waterfront make for a spectacular setting with extraordinary recreational opportunities. Washington has 3 national parks. The population is estimated at just under 7.2 million in 2015, up almost 15% since the 2000 census. The median age is 37.4. The Wikipedia entry for Washington has more interesting facts. Updated Dec. 2016. Washington's 2011-2015 median household income at $61,062 is $6500 higher than the median for all U.S. states. The MERIC cost of living index shows the state as having the 37th lowest cost of living of all the states. Agriculture, hi-tech, and aviation are important to the economy. The statewide median price of a home in early 2016 was $314,000 (Zillow.com), over $120,000 higher than the U.S. index. The third quarter of 2016 median home in the Seattle/Tacoma area sold for $422,100 (NAR). In Spokane during the same period, the median home was $214,400. The Washington climate is characterized as Marine West Coast - moist air from the Pacific controls the climate. Year round temperatures are in a fairly narrow band. Washington is known for a lot precipitation, particularly in winter. The Olympic Peninsula has some of the only temperate rain forests in North America. Tax Burden: Total tax burden in Washington at 9.3% is 28th highest of the U.S. states. Marginal Income Tax Rates. Washington is tax-friendly for retirees, primarily because it has no income tax. That means Soclal Security and pension income is not taxed either. Sales Tax: State sales tax ranges from 6.5, with many cities able to boost that to 9.5%. Property Taxes: The state is ranked 23rd for property tax collections at $1350 per capita. State law requires that county assessors appraise all property at 100 percent of its true and fair market value. In terms of per capita property tax, Washington is about average. The state offers a property tax exemption for those with household incomes of $35,000 or less. Seniors can qualify for a tax deferral program. Estate and/or Inheritance Taxes. Washington has an estate tax on estates over $2 million. 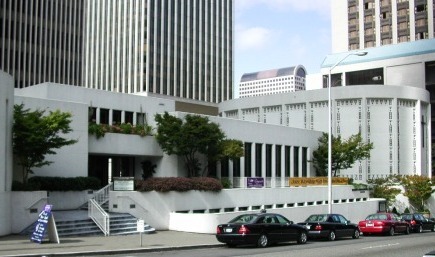 Link to Washington State Department of Revenue. Active adults looking for retirement information on the exciting city of Seattle, home of the University of Washington, will find vital information to help them assess that community. Want to live on an island? 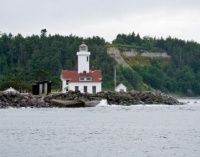 Check out our profile of the idyllic San Juan Islands. Port Townsend is especially nice, almost all of the town has been designated a National Historic Landmark. Ellensburg, Kennewick, Wenatchee, Issaquah, and Pasco are also great places. For each community - from interesting Bellingham to ihe interesting small town of Centralia, the college town of Olympia to Walla Walla- you will find community reviews written by active adults, not marketers. Washington does not have a certified retirement community program.